This year, strong M&A activity is expected in the aged care, telecoms, primary products and energy sectors with general interest in New Zealand assets stemming from Australia, China and the US. 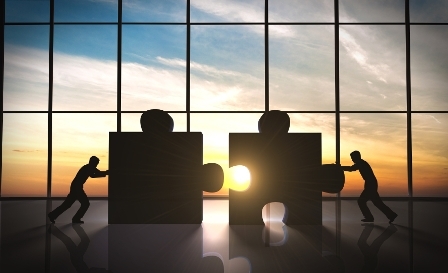 These predictions come from the latest report from Chapman Tripp, New Zealand Mergers and Acquisitions: Trends and Insights, which looks at M&A predictions for the coming year. NZ Lawyer spoke to Tim Tubman, partner, and Joshua Pringle, senior associate, about what this report means for law firms across the country. The weaker New Zealand dollar may be making local assets more attractive to US interests, they added. After a number of quiet years for takeovers, both Tubman and Pringle said they saw potential for a number of takeover transactions. These will be structured as schemes of arrangement rather than as offers under the Takeovers Code. “Schemes have advantages for bidders, such as greater transaction certainty, that could encourage more activity,” they said. For local legal firms, it should be a very busy year ahead for M&A lawyers, Tubman and Pringle explained. There will also be other, less obvious, repercussions from these trends. “We think that market trends, like the use of schemes of arrangement, will favour lawyers who are seen to specialise in M&A, rather than having a more generalist focus. These types of complications will mean the market will favour lawyers who can successfully demonstrate specialist expertise, they added. As well as an increase in M&A activity, local law firms should also be aware of other changes in the legal sector. Building up familiarity with these issues will be an opportunity for M&A lawyers to add value, they noted. To prepare for these changes, continuing education is of vital importance especially in a market which rewards specialist expertise. “The return of deal structures that have been largely dormant, like schemes, means many lawyers will need to re-familiarise themselves with the practicalities and subtleties of those structures.